Are you ready for the new regime? If you are a small business, or deal with small business you need to be on top of the changes being introduced by the Unfair Contract Terms laws commencing on 12 November 2016. The changes will extend protections now only afforded to consumer contracts to small business contracts. 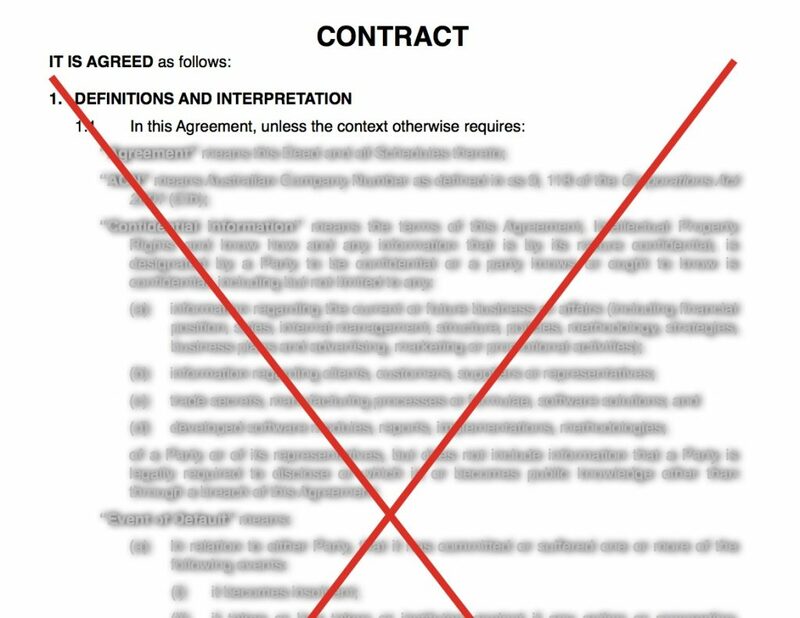 the term is contract is unfair. the “upfront price” payable is equal to or less than $300,000 or if the duration of the contract is for more than 12 months, the “upfront price” payable is equal to or less than $1,000,000. The upfront price is essentially the amount disclosed at the time the contract was entered into. The regime doesn’t define a standard form contract, but a contract is presumed to be a standard form contract unless proved otherwise. In determining if a contract is a standard form contract the Court may take anything into account, but must take into account: the bargaining power of the parties, whether the contract was prepared by one party before any discussion, whether the contract was offered on a “take it or leave it” basis, whether there was any ability to negotiate terms, whether the terms take into account the specific characteristics of the deal. would cause detriment, whether financial or otherwise, to a party if it were to be applied or relied upon. It is the Court that determines if a term is unfair and therefore void. In determining if a term is unfair the Court may take into account such matters as it thinks relevant, but must take into account the extent to which the term is transparent (expressed in plain language, presently clearly and is readily available to any party affected by the term) and the contract as a whole.